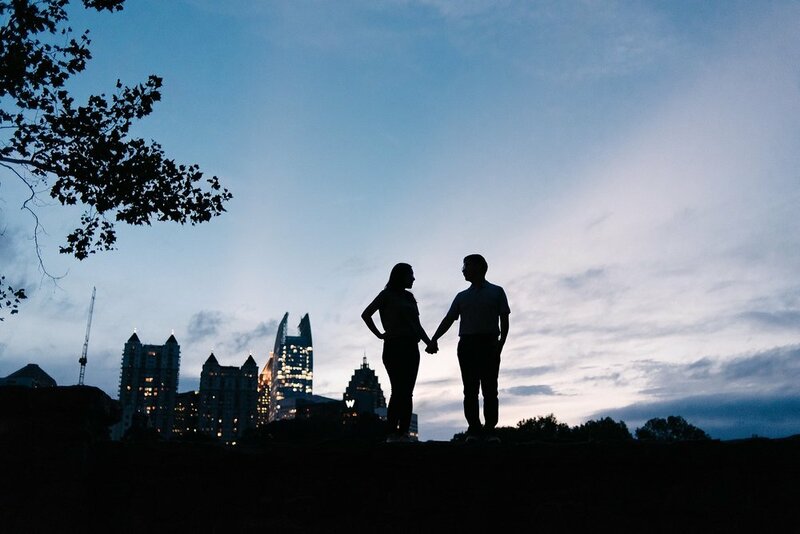 Piedmont Park is such staple location for photos in Atlanta. When I was in college for photography, I photographed my first ever engagement session here. Even years later, this is still one of my favorite places to go. I love the tall trees, winding trails and lakeside gazebo. After talking with Hannah, they mentioned that they really wanted to have a nature environment for their pictures. 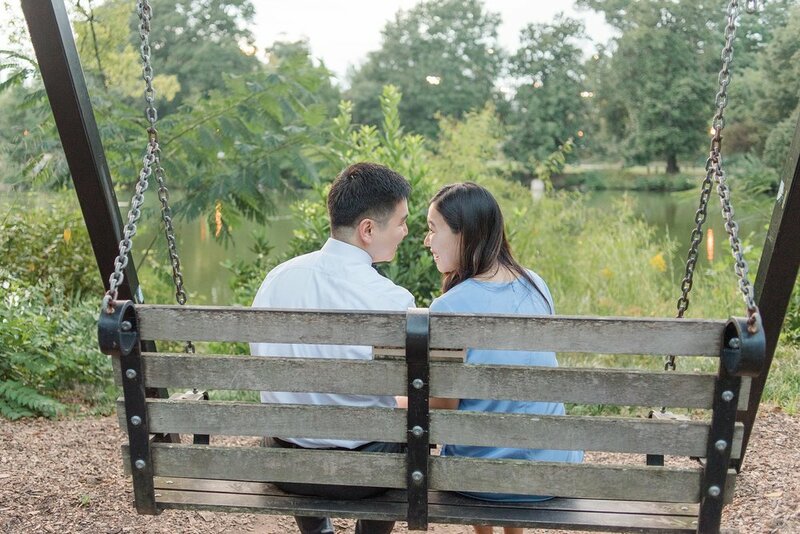 They both recently moved here from Chicago and I knew that Piedmont park was going to be the perfect place for them! Only a few more weeks until their fall wedding - guys - they are having a morning wedding and I am SO excited about it! Now, go scroll through their engagement session! Philip made this scrapbook of photos and memories of their time dating for when he proposed to Hannah. I loved including this in their session! In such a digital age, it’s so nice to see a couple enjoying printed photos. Those will be so sweet to look at over the years! This skyline sunset was amazing!! Great way to end the session!